Looking for waste disposal in Bristol, Bath and surrounding areas? Why book a skip ? Why load it yourself ? We can handle all of this for a stress free mess free clearance . Look no further then KW disposal a fully EA (environment agency) approved & public liability protected company operating since 2017 where quality of service is at the heart of our operation. We strive to recycle up-to 95% of waste collected by appropriate disposing at a transfer station. 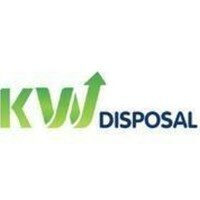 Specialist in all types of non hazardous disposal many nationwide companies use KW Disposal services to collect there waste. We are guaranteed to beat any written quote. So give us a call today to get your free quote. Bristol , , bath and the surrounding areas in the south west.